Harry’s Bar brings something of a unique blend of traditional Italian dishes and signature weekend brunch. This is the ideal place to grab a quick bite while shopping and enjoy a lazy lunch or dinner. Inspired by sister restaurant, Harry’s Dolce Vita, menus feature ingredients sourced with special care and attention from Italian suppliers. Think handmade pasta, specially blended olive oil and vine-ripened tomatoes. 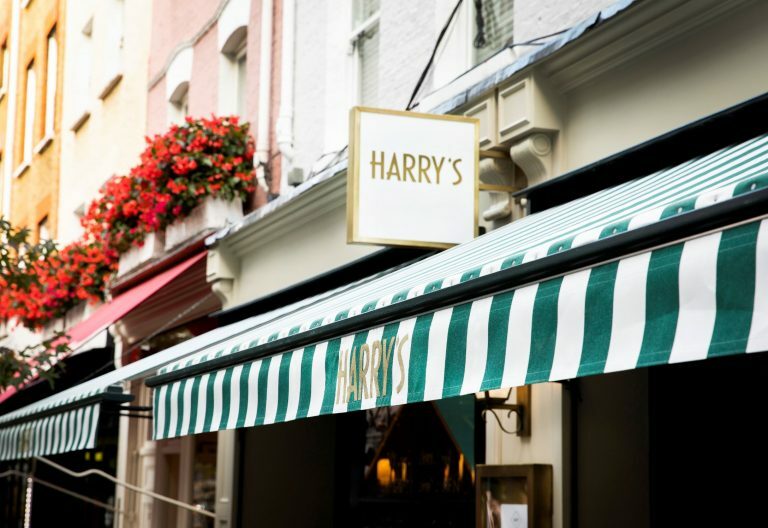 With fresh and unfussy dishes including chargrilled fish and meats as well as speciality pizzas, Harry’s Bar also offers delightful desserts and a stunning wine list. At weekends, enjoy an Italian take on brunch, with favourites like Eggs Benedict sharing a menu alongside Lobster Risotto and Pea and Mint Tortellini. While in the evenings, sit back and enjoy classic cocktails with a twist from the expert Harry’s Bar mixologists.